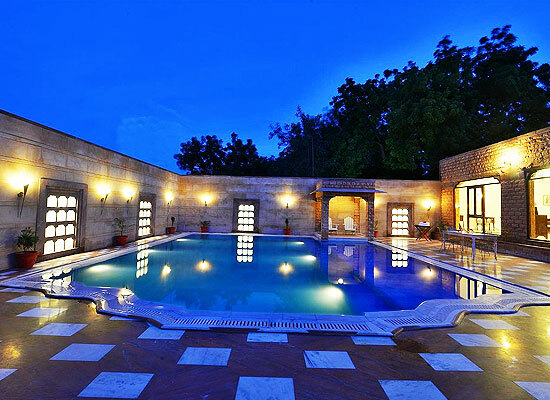 "Madho Vilas is one of the favorite heritage hotels in India. The guests who stay in here are thrilled with the Art Deco of this hotel and the feeling of home that is provided with a stay in here. The hotel's location away from the noisy city life makes it a popular refuge for tourists. The mind-blowing gardens offer a relaxing time to tourists. In this hotel, the history of Rajasthan shakes hands with the future of India. 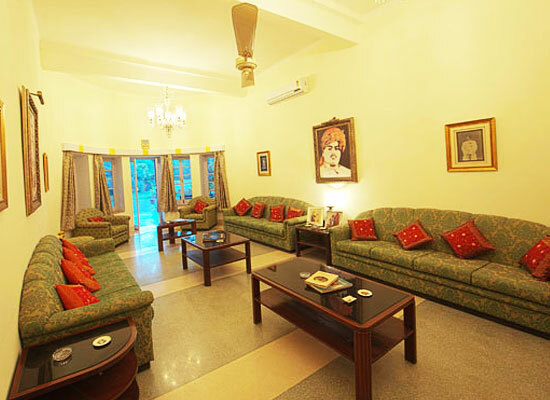 Madho Vilas in Jodhpur existed as the private residence of Late Thakur Madho Singh Ji of Bhenswara. The elegant residential building was constructed using red and pink sandstone in early 1940s by the popular architect of that time, Mr. Goldstow. 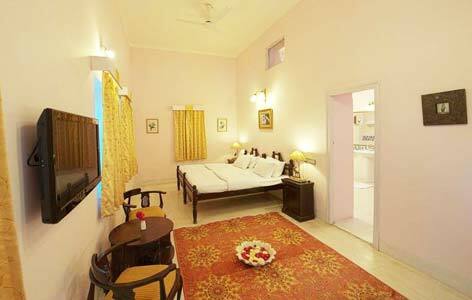 After numerous renovations and refurnishing, Madho Vilas is still erected as a sophisticated heritage hotel in Jodhpur. 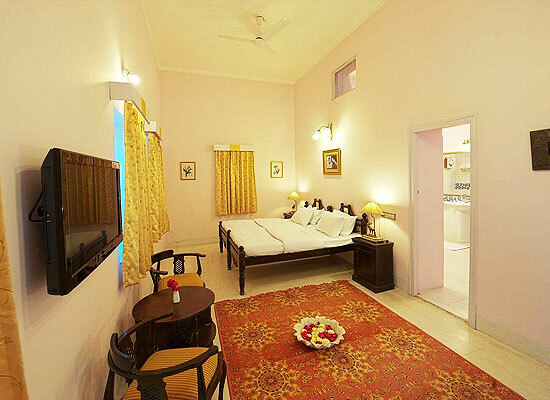 Madho Vilas offers a total of 16 well appointed rooms that are designed with a display of royal grandeur. The rooms are categorized into regular rooms and deluxe rooms, there are ground floor bedrooms for the less able giving you a wide choice of accommodation. The luxury interiors speak of royal comforts and are well equipped with the modern amenities and offer state of the art facilities. The rooms which are all newly renovated have cool stone floors, deep armchairs and restful colors they are all large and light and airy with crisp white sheets over extremely comfortable mattresses, you will be assured a good night’s sleep. 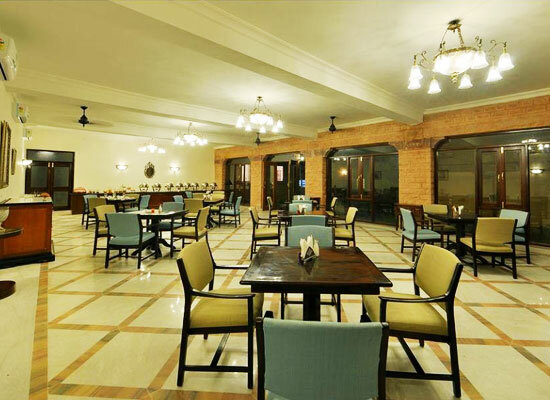 The Madho Vilas offers excellent dining facilities. The hotel houses an elegant multi-cuisine restaurant known as the "Village". The dishes offered at the restaurant range from Chinese to the Continental and Indian dishes. The guests must try the specially prepared local dishes of Rajasthan and the Mughlai food by host Thakur Dalvir Singh. He is very famous for his cooking and he cooks delicious Indian dishes for his guest on special request. This bustling desert city is the second largest in Rajasthan after Jaipur. It was founded by Rao Jodha, the leader of the Rathore clan, in 1459 AD. After its population crossed a million, it has been declared as the second 'Metropolitan City' of Rajasthan. It was formerly the seat of a princely state of the same name, the capital of the kingdom known as Marwar. Jodhpur is a popular tourist destination, featuring many palaces, forts and temples, set in the stark landscape of the Thar Desert.